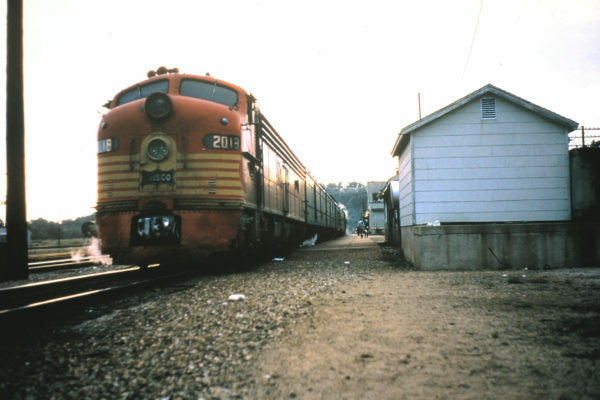 E8A 2018 (Ponder) at Newburg, Missouri in March 1965 (George Strombeck). 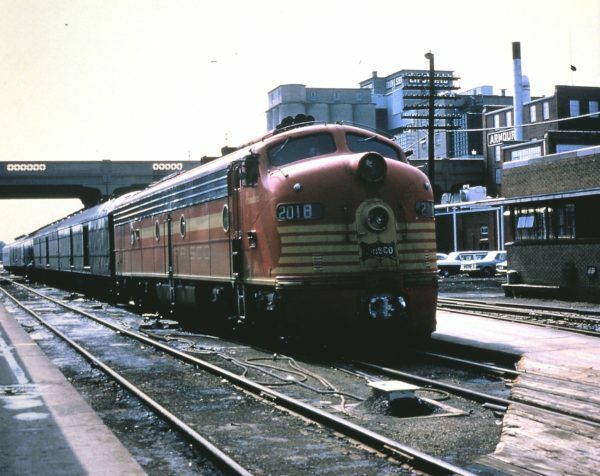 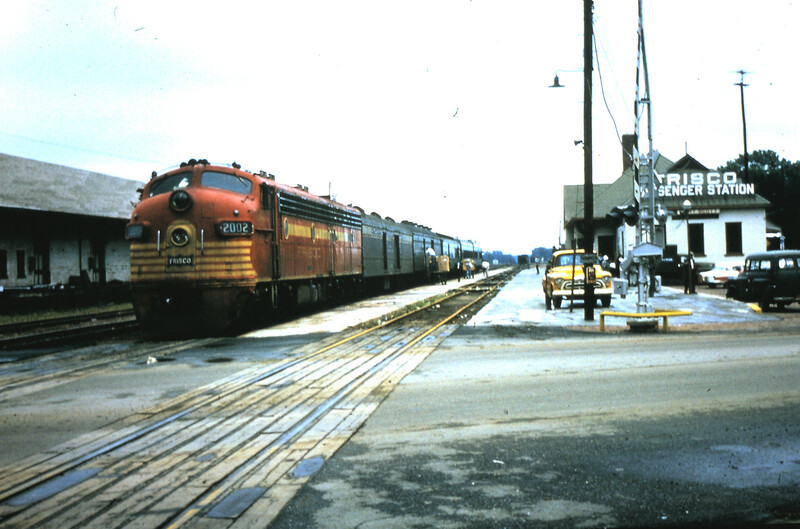 E8A 2019 (Cavalcade) at Springfield, Missouri in March 1965 (George Strombeck). E8A 2018 (Ponder) at Springfield, Missouri in March 1965 (George Strombeck). 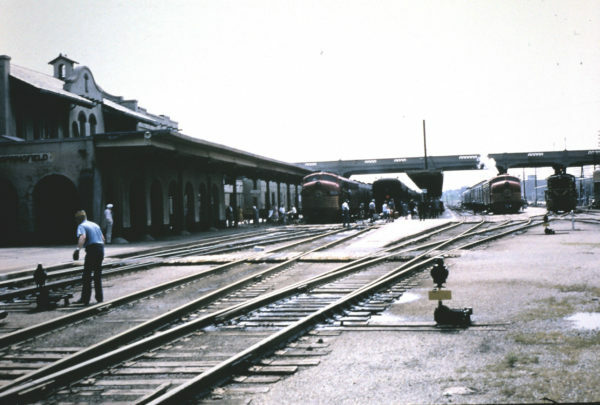 E- Units in Passenger Service at Springfield, Missouri in March 1865 (George Strombeck). 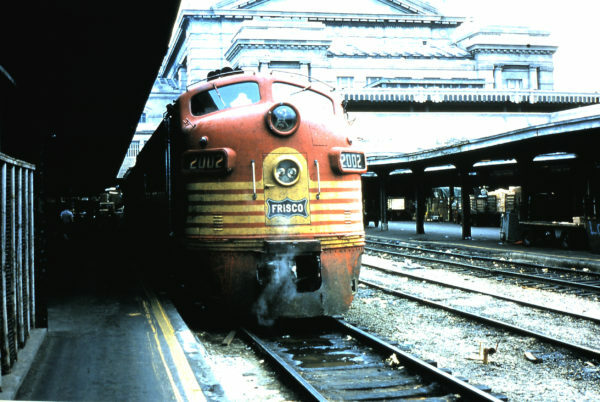 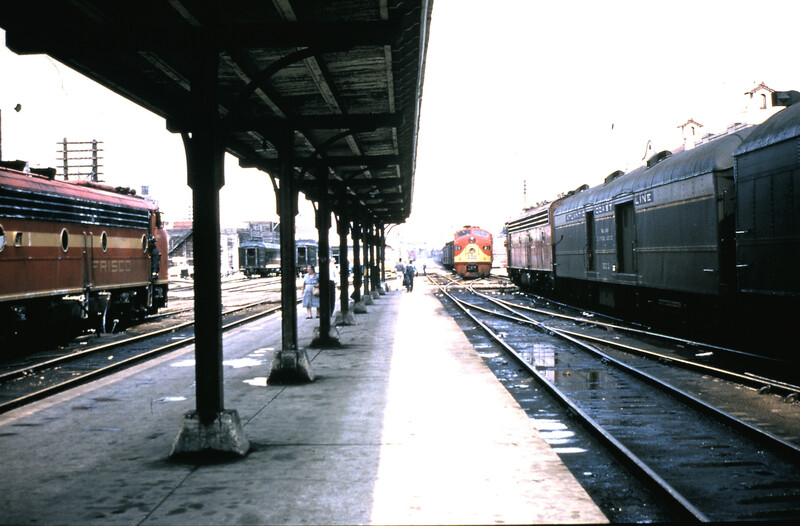 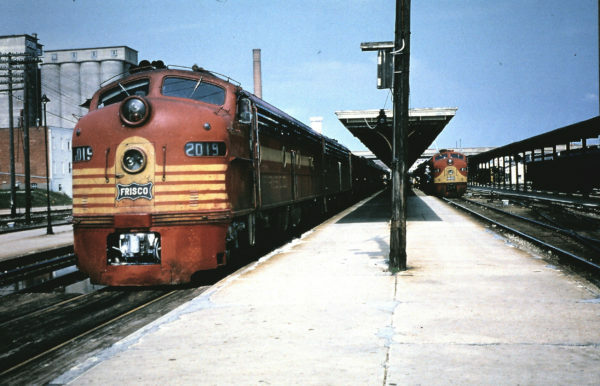 Passenger Service at Springfield, Missouri in March 1965 (George Strombeck). E7A 2002 (Comanche) at Springfield, Missouri (date unknown) (George Strombeck). 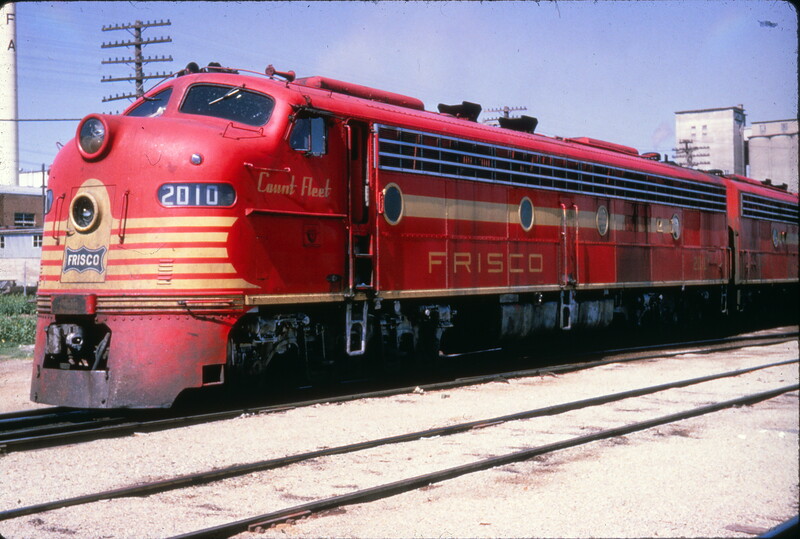 E7A 2002 (Comanche) on the Sunnyland at Fort Scott, Kansas in 1965 (George Strombeck). E7A 2002 (Comanche) on Train #107, the Sunnyland, at Kansas City, Missouri in 1965 (George Strombeck). 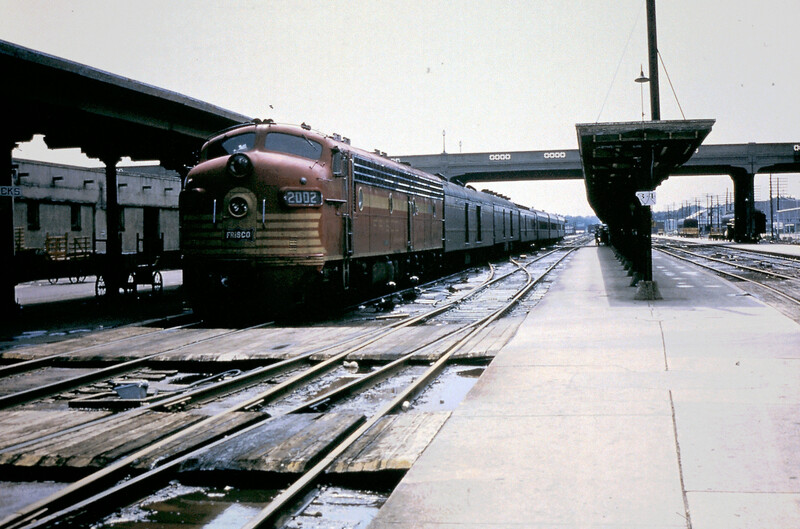 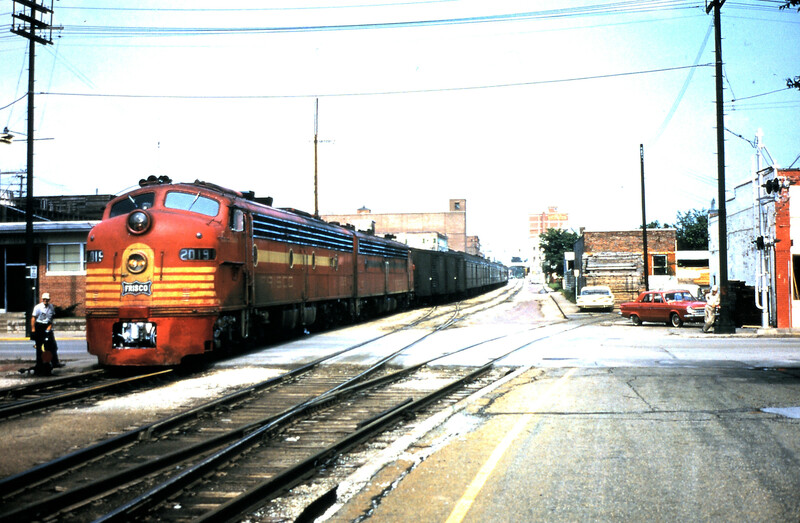 E8A 2010 (Count Fleet) at Springfield, Missouri in June 1960 (Al Chione).